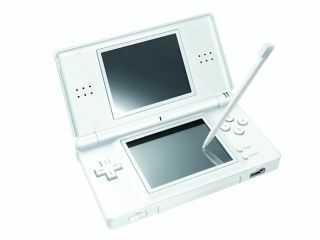 Nintendo is to launch a camera add-on peripheral for its world-beating Nintendo DS handheld games console. It's designed to slot into the GBA (Game Boy Advance) port on the bottom of the DS and comes with a mini tripod stand which holds the DS handheld sideways for you. This way, you don't have to hold the DS all the time. The Japanese games giant has also come out with the first game designed specifically for the new DS camera. Called 'Adult Face Training' it teaches you how to exercise the muscles in your face in order to look younger. Predictably, this involves pulling lots of weird faces, something that's probably more fun for spectators than the actual player. The DS camera will launch in Japan on 2 August for around £20. No word yet on a UK release, Christmas perhaps?